As the UK’s biggest business software company and third largest in the world, Sage has been supporting businesses everywhere since 1981. Founded in Newcastle, Sage’s global headquarters is still based in the city employing around 1500 people locally (and 13,000 worldwide). As one of the UK’s great business success stories, innovation is key to Sage’s continued growth which is why we’re so happy to be sponsoring Thinking Digital, one of Europe’s leading technology, ideas, arts and innovation conferences at The Sage Gateshead this week (20-22 May). Sage people have been attending Thinking Digital every year from the beginning and last year we sponsored the fantastic Thinking Digital Startup Competition 2013 which was won by BubblePix (see the final pitches below). This year we’re sponsoring the Opening Party and Delegate Dinner which are a great place for everyone to come together in celebration of what’s happening at the conference, make new friends and meet potential collaborators on future projects. (See the full conference schedule at www.thinkingdigital.co.uk/schedule/). In my opinion, everyone should experience Thinking Digital at least once which is why we’re giving a bunch of budding bloggers, Tweeters, filmmakers and podcasters the chance to join us there for free, as part of our ‘Sage One Street Team‘. 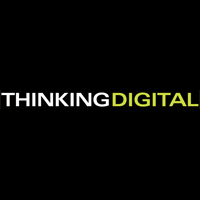 You can also read all the Thinking Digital Tweets via the #TDC14 and #SageOne hashtags.